​Welcome, We’re Happy to Have You! 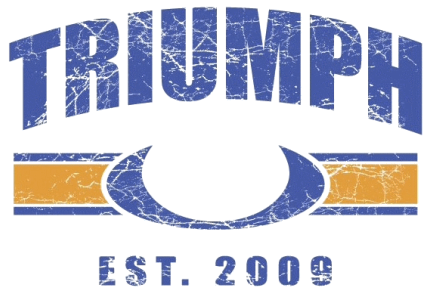 Triumph Fitness is the premier Training Gym in Redmond, OR. If you plan on coming in for training, please fill out the below form and read through the FAQ below. We are conveniently located in NW Redmond right off the Parkway. Click here for directions. ​1. No first-time athletes, please! You must have CrossFit experience to drop-in to one of our classes. 2. Our schedule is current and up-to-date. 3. Purchase & reserve your class spot (details below). Do you allow visiting CrossFitters to drop in on classes? Of course! Our classes are the only times available to visiting athletes for training! We are located in NW Redmond right off the parkway. Click here for directions. How much do you charge for the drop in**? What does it cover? See #4. Our current policy is either a $10 class fee or buy a Shirt/Drop-In COMBO for $25! If our shirts are out of stock, please be prepared to pay a drop-in – we take all credit cards. **We don’t charge other Affiliate Owners (must be able to find you on the Affiliate Page) or CrossFit HQ Staff for using our facility, but please use the registration box above. If I am in town for an extended stay (longer than a week), what is the cost? If you are in town for more a while, shoot us an e-mail or talk with us in the gym to work something out. We handle this on a case-by-case basis. Do I need to reserve/register for a class ahead of time? We would TOTALLY appreciate if you could register in our database ahead of time – it will speed up the process when you get here. Do so by going to our schedule and enrolling in the class you’re going to attend. Honestly, if we don’t know you…then probably not. It’s too much of a liability to let people just come in and train when we don’t know anything about your habits! Unless you are a Games athlete or HQ Staff, then you’ll just have to stick to our classes.